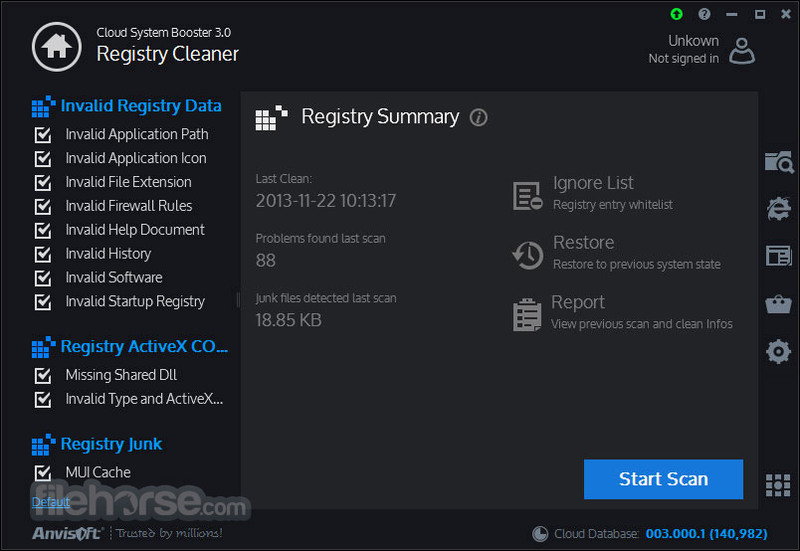 Cloud System Booster is a small and efficient utility based on Cloud technology. 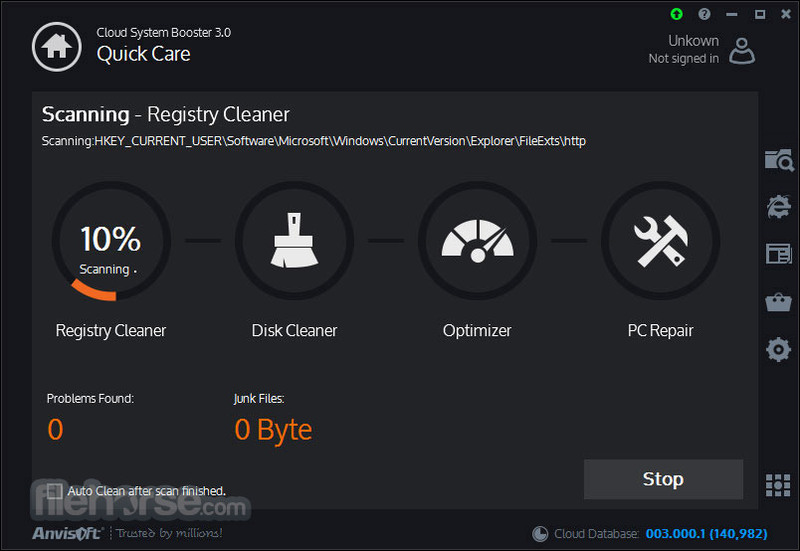 Clean up system junk files, fix registry errors, repair browser problems, optimize your PC system to boost your PC Performance. 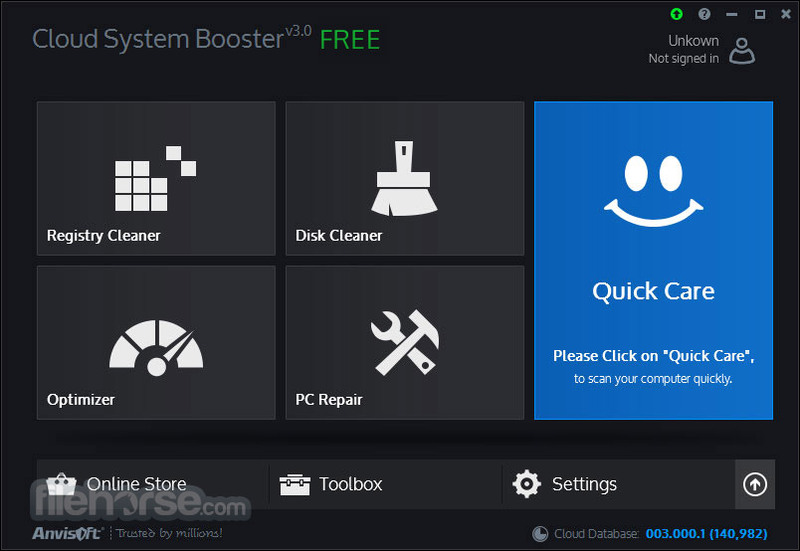 Cloud System Booster consists of four main function including Registry Cleaner, Disk Cleaner, Optimizer and PC Repair to maximize your PC performance. It also can protect your privacy by cleaning browsing history, temporary internet files, browser cookies and extensions, minimizing the chance of falling into Internet scam and more features like GB File, Uninstaller, RAM Booster, Startup Booster. Cloud-based optimization engine together with online database brings more efficiency to make computer system faster and better. The Cloud technology empowers user-sourced online database to offer better maintaining services with database updated in real time. 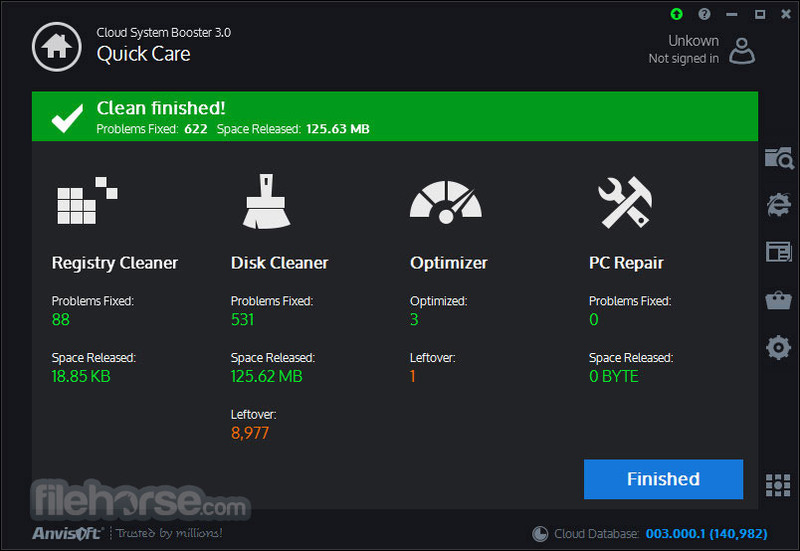 This means Cloud System Booster performs files analyzing and cleaning up based on thousand ratings by not only tech professionals but also many users who kindly share the data. Clean up system files and optimize PC with local database. Clean up browser history, cookies, etc., to protect privacy. Cloud technology applied to synchronously update the database for more efficiency. Automatically update to latest optimization database from Anvisoft Cloud server. Clean out junk files generally by third-party apps as per your needs. Help remove any malicious or unwanted toolbar/browser add-on from IE, Firefox & Chrome. Optimize system services, network settings and startups to boost PC performance. Find GB Files stored on the machine to remove any unwanted file and release more disk space. Anvisoft Technical Support Team online provides support for 24 hours in 7 days a week to Cloud System Booster usage. No Limits for Commercial Use. 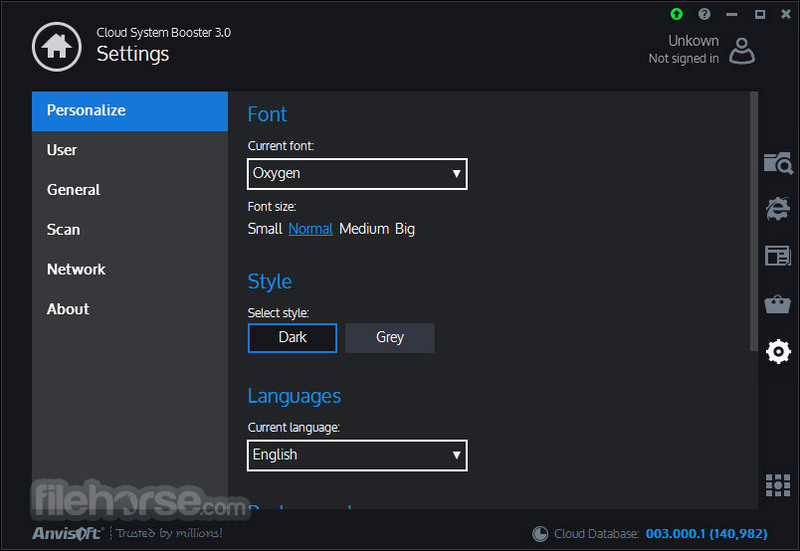 Note: Cloud System Booster is a quality program with a lot of options and functionality available in the free version. If you want to access more advanced features you can upgrade to the Pro version for $19.98.